Highrisk Life Insurance Agency specializes in Life Insurance Approval with Gastroplasty! Having trouble finding affordable life insurance with Gastroplasty? Can People Who Have Gastroplasty Be Approved for Life Insurance? Yes, most individuals with Gastroplasty will be able to qualify for traditional life insurance, the type of insurance which requires a medical exam. Best Case Scenario – Gastroplasty, although considered a risky procedure can be very effective if done with accuracy. Usually, if 2 years has passed it can be considered safe and a “Standard” procedure can be given. Click here for a quote at “Standard”. Moderate Case – Those cases with recorded complications like severe pain due to misplacement of the band, but were corrected immediately may still qualify for a “Mild Substandard” health class. Click here for a quote at “Mild Substandard”. Severe Case – A severe case would be a failed Gastroplasty procedure with obvious irreversible post-surgical damage to the structure of the stomach, but not entirely to its function. These cases usually get a “Medium Substandard” rating. Click here for a quote at “Medium Substandard”. When did you have the Gastroplasty surgery done? If the procedure has been done for more than 2 years already and there are no records of complications, it may qualify for a Standard rating. What type of Gastroplasty procedure did you undergo? If the Gastroplasty surgery done was the RYBG (Roux-en-Y gastric bypass) procedure then it has the best chance to get a Standard or a Mild Substandard rating. This is the most common method used and is usually done laparoscopically. This method has less recorded complications. It is, however, required that both the surgical and medical records are provided to prove the absence of complications post-surgery. When did you last visit your doctor for checkup and what were the findings? Your latest visit to your doctor will provide the most updated evaluation of your condition. The medical evaluation record will determine the most appropriate rating for you. Recent diagnostic tests will provide the picture of whether the band is placed properly. If it is so, then a Standard or Mild Substandard rating may be given. Gastroplasty also called vertical banded gastroplasty or stomach stapling is a procedure used to correct the weight of moderately and severely obese individuals that have serious health conditions. The objective of the surgery is enforced decrease in the caloric intake to restrict absorption and to slow down gastric emptying. Gastroplasty is considered as a dangerous surgical procedure if not done accurately. It cannot be used long term due to the seriousness of the complications, which include vomiting, severe pain and misplacement of the band. 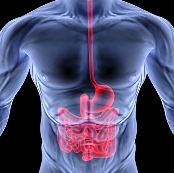 See our other articles on Digestive Disorders and Click Here.